Last minute thoughts before the wedding! Today I wanted to share a few thoughts before the wedding this weekend! I can not wait to share all the photos from the day and from our Honeymoon which I am VERY excited for! I feel like its been a very long time coming and now its finally here! I would say I am mostly excited and only a little nervous - I am not sure its even nerves its more like those little butterflies you get in your belly! I just want it to be now! (the days are dragging) Its so nice to see my friends and family getting excited too. It still doesn't really feel that real! Our last minute tasks include dropping things off at various places i.e the wedding venue and at the florists. It also includes picking things up like belts, ties MY DRESS! And most importantly getting all the beauty treatments, tan, lashes, hair, nails pretty much everything! I am very much looking forward to feeling glam on the day. I want everything to feel very special so I am going all out. We have also had our church rehearsal, which made me feel excited and a little more at ease considering I now know what I’m doing, where everyone needs to be etc. Everything is now paid for which also helps to put my mind at ease and we have spoken to our vendors to check in on timings etc. Some exciting little bits have been sorting the children’s favours – we aren’t actually doing favours for everyone but we wanted to get the children something to keep them entertained. 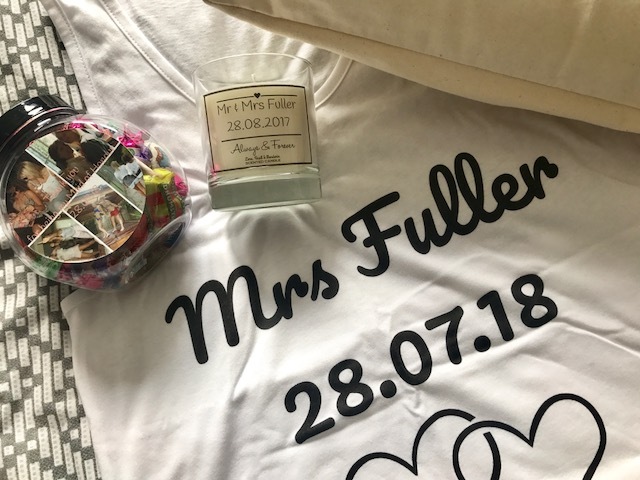 We have also been sorting gifts for everyone involved in the wedding too. 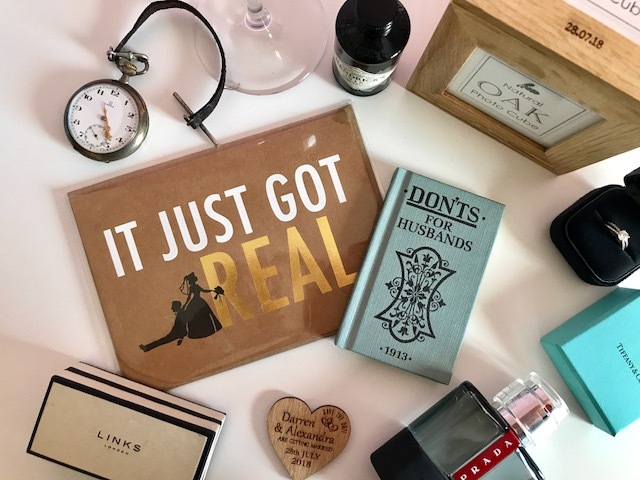 For our parents we are doing the usual Champagne and flowers but for my mum and dad we are doing something a little extra that I am not going to disclose in case my mum has a sneaky read of this post! 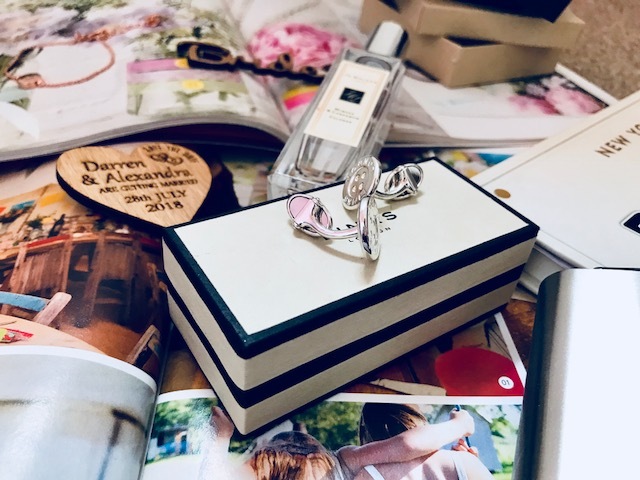 I previously wrote a post regarding Bridal Party Gifts with a few ideas of what you could buy as gifts. 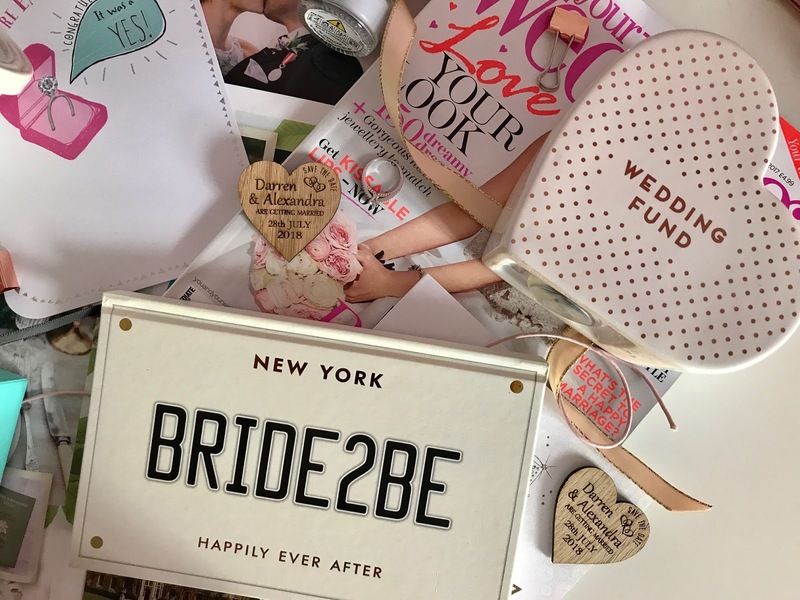 For the bridesmaids I have made goody bags filled with various bits and pieces such as sweets, nail polish and lip-gloss confetti etc. For the groomsmen we have bought socks and cuff links of course personalised to say Groomsman! We don’t have any boys in our bridal party as Darren’s little brother is a bit shy but if we where to get him a gift something to do with games consoles could work pretty well! So I guess I shall see you again when I am married!! I can't WAIT to see all your pictures, have the most amazing day lovely!